1. Rijsewijk, F., Schuermann, M., Wagenaar, E., Parren, P., Weigel, D., Nusse, R. (1987) The Drosophila homolog of the mouse mammary oncogene int-1 is identical to the segment polarity gene wingless. Cell. 50, 649-657. 2. Nusse, R., Brown, A., Papkoff, J., Scambler, P., Shackleford, G., McMahon, A., Moon, R., Varmus, H. (1991) A new nomenclature for int-1 and related genes: The Wnt gene family. Cell. 64, 231. 3. Nusse, R. (2003) Wnts and Hedgehogs: Lipid-modified proteins and similarities in signaling mechanisms at the cell surface. Development. 130, 5297-5305. 4. Vinson, C.R., Conover, S., Adler, P.N. (1989) A Drosophila tissue polarity locus encodes a protein containing seven potential transmembrane domains. Nature. 338 , 263 - 264 . 5. Guo, N., Hawkins, C., Nathans, J. (2004) Frizzled6 controls hair patterning in mice. Proc Natl Acad Sci U S A. 101, 9277-9281. 6. Krasnow, R.E., Wong, L.L., Adler, P.N. (1995) Dishevelled is a component of the frizzled signaling pathway in Drosophila. Development. 121, 4095-4102. 7. Bhanot, P., Brink, M., Samos, C.H., Hsieh, J.C., Wang, Y., Macke, J.P., Andrew, D., Nathans, J., Nusse, R. (1996) A new member of the frizzled family from Drosophila functions as a Wingless receptor. Nature. 382 , 225 - 230 . 8. Wang, Y., Macke, J.P., Abella, B.S., Andreasson, K., Worley, P., Gilbert, D.J., Copeland, N.G., Jenkins, N.A., Nathans, J. (1996) A large family of putative transmembrane receptors homologous to the product of the Drosophila tissue polarity gene frizzled. J Biol Chem. 271,4468-4476. 9. Schulte, G., Bryja, V. (2007) The Frizzled family of unconventional G-protein-coupled receptors. Trends Pharmacol Sci. 28, 518-525. 10. Malbon, C.C. (2004) Frizzleds: New members of the superfamily of G-protein-coupled receptors. Front Biosci. 9 , 1048 - 1058 . 11. Ruiz-Gomez, A., Molnar, C., Holguin, H., Mayor, F., de Celis, J.F. (2007) The cell biology of Smo signalling and its relationships with GPCRs. Biochim Biophys Acta. 1768 , 901 - 912 . 12. Foord, S.M., Bonner, T.I., Neubig, R.R., Rosser, E.M., Pin, J.P., Davenport, A.P., Spedding, M., Harmar, A.J. (2005) International Union of Pharmacology. XLVI. G protein-coupled receptor list. Pharmacol Rev. 57, 279-288. 13. Barnes, M.R., Duckworth, D.M., Beeley, L.J. (1998) Frizzled proteins constitute a novel family of G protein-coupled receptors, most closely related to the secretin family. Trends Pharmacol Sci. 19 , 399 - 400 . 14. Fredriksson, R., Lagerstrom, M.C., Lundin, L.G., Schioth, H.B. (2003) The G-protein-coupled receptors in the human genome form five main families. Phylo-genetic analysis, paralogon groups, and fingerprints. Mol Pharmacol. 63,1256-1272. 15. Palczewski, K. (2006) G protein-coupled receptor rhodopsin. Annu Rev Biochem. 75 , 743 - 767 . 16. Hawtin , S.R. , Tobin , A.B. , Patel , S. , Wheatley, M. ( 2001 ) Palmitoylation of the vasopressin V1a receptor reveals different conformational requirements for signaling, agonist-induced receptor phosphorylation, and sequestration. J Biol Chem. 276, 38139-38146. 17. Egger-Adam, D., Katanaev, V.L. (2008) Trimeric G protein-dependent signaling by Frizzled receptors in animal development. Front Biosci. 13,4740-4755. 18. Hendrickx, M., Leyns, L. (2008) Non-conventional Frizzled ligands and Wnt receptors. Dev Growth Differ. 50 , 229 - 243 . 19. Nam, J.S., Turcotte, T.J., Smith, P.F., Choi, S., Yoon, J.K. (2006) Mouse cristin/R-spondin family proteins are novel ligands for the Frizzled 8 and LRP6 receptors and activate beta-catenin-dependent gene expression. J Biol Chem. 281, 1324713257 . 20. Xu, Q., Wang, Y., Dabdoub, A., Smallwood, P.M., Williams, J., Woods, C., Kelley, M.W., Jiang, L.,Tasman, W., Zhang, K., Nathans, J. (2004) Vascular development in the retina and inner ear: Control by Norrin and Frizzled-4, a high-affinity ligand-receptor pair. Cell. 116 , 883 - 895 . 21. Hsieh, J.C. (2004) Specificity of WNT-receptor interactions. Front Biosci. 9, 1333 - 1338 . 22. Wu, C.H., Nusse, R. (2002) Ligand receptor interactions in the Wnt signaling pathway in Drosophila. J Biol Chem. 277,41762-41769. 23. Willert, K., Brown, J.D., Danenberg, E., Duncan, A.W., Weissman, I.L., Reya, T., Yates, J.R., Nusse, R. (2003) Wnt proteins are lipid-modified and can act as stem cell growth factors. Nature. 423,448-452. 24. Schulte, G., Bryja, V., Rawal, N., Castelo-Branco, G., So, K.M., Arenas, E. (2005) Purified Wnt-5a increases differentiation of midbrain dopaminergic cells and dishevelled phosphorylation . J Neurochem. 92,1550-1553. 25. Hsieh, J.C., Rattner, A., Smallwood, P.M., Nathans, J. (1999) Biochemical characterization of Wnt-frizzled interactions using a soluble, biologically active vertebrate Wnt protein. Proc Natl Acad Sci U S A. 96 , 3546 - 3551 . 26. Rulifson, E.J., Wu, C.H., Nusse, R. (2000) Pathway specificity by the bifunctional receptor frizzled is determined by affinity for wingless. Mol Cell. 6,117-126. 27. Chen, C.M., Strapps, W., Tomlinson, A., Struhl, G. (2004) Evidence that the cyste-ine-rich domain of Drosophila Frizzled family receptors is dispensable for transducing Wingless. Proc Natl Acad Sci U S A. 101,15961-15966. 28. Povelones, M. , Nusse, R. ( 2005 ) The role of the cysteine - rich domain of Frizzled in Wingless - Armadillo signaling. EMBO J. 24 , 3493 - 3503 . 29. Carron, C., Pascal, A., Djiane, A., Boucaut, J.C., Shi, D.L., Umbhauer, M. (2003) Frizzled receptor dimerization is sufficient to activate the Wnt/beta-catenin pathway. J Cell Sci. 116, 2541-2550. 30. Bryja, V., Schulte, G., Rawal, N., Grahn, A., Arenas, E. (2007) Wnt-5a induces dishevelled phosphorylation and dopaminergic differentiation via a CK1-dependent mechanism . J Cell Sci. 120 , 586 - 595 . 31. Bryja, V., Schulte, G., Arenas, E. (2007) Wnt-3a utilizes a novel low dose and rapid pathway that does not require casein kinase 1-mediated phosphorylation of Dvl to activate beta-catenin. Cell Signal. 19, 610-616. 32. Balla, S.,Thapar, V., Verma, S., Luong,T., Faghri,T., Huang, C.H., Rajasekaran, S., del Campo, J.J., Shinn, J.H., Mohler, W.A., Maciejewski, M.W., Gryk, M.R., Piccirillo, B., Schiller, S.R., Schiller, M.R. (2006) Minimotif Miner: A tool for investigating protein function. Nat Methods. 3 , 175 - 177 . 33. Yanfeng, W.A.,Tan, C., Fagan, R.J., Klein, P.S. (2006) Phosphorylation of frizzled-3. J Biol Chem. 281,11603-11609. 34. Reiter, E., Lefkowitz, R.J. (2006) GRKs and beta-arrestins: Roles in receptor silencing, trafficking and signaling. Trends Endocrinol Metab. 17,159-165. 35. Tobin,A.B. (2008) G-protein-coupled receptor phosphorylation: Where, when and by whom. Br J Pharmacol. 153 (Suppl. 1), S167-S176. 36. Macdonald, B.T., Semenov, M. V., He, X. (2007) SnapShot: Wnt/beta-catenin signaling. Cell. 131,1204. 37. Semenov,M.V.,Habas,R.,Macdonald,B.T.,He, X. (2007) SnapShot:Noncanonical Wnt signaling pathways. Cell. 131 , 1378 . 38. Mezhybovska, M., Wikström, K., Ohd, J.F., Sjölander, A. (2006) The inflammatory mediator leukotriene D4 induces beta-catenin signaling and its association with antiapoptotic Bcl-2 in intestinal epithelial cells. J Biol Chem. 281, 6776-6784. 39. Seifert, J.R., Mlodzik, M. (2007) Frizzled/PCP signalling: A conserved mechanism regulating cell polarity and directed motility. Nat Rev Genet. 8,126-138. 40. Wallingford, J.B., Fraser, S.E., Harland, R.M. (2002) Convergent extension: The molecular control of polarized cell movement during embryonic development . Dev Cell. 2, 695-706. 41. Schambony, A., Wedlich, D. (2007) Wnt-5A/Ror2 regulate expression of XPAPC through an alternative noncanonical signaling pathway. Dev Cell. 12, 779-792. 42. McMahon, A.P., Moon, R.T. (1989) Ectopic expression of the proto-oncogene int-1 in Xenopus embryos leads to duplication of the embryonic axis. Cell. 58 , 1075 - 1084 . 43. Strutt, H., Price, M.A., Strutt, D. (2006) Planar polarity is positively regulated by casein kinase Iepsilon in Drosophila. Curr Biol. 16,1329-1336. 44. Bryja, V., Gradl, D., Schambony, A., Arenas, E., Schulte, G. (2007) ß-Arrestin is a necessary component of Wnt/beta-catenin signaling in vitro and in vivo. Proc Natl Acad Sci U S A. 104, 6690-6695. 45. Malbon, C.C., Wang, H.Y. (2006) Dishevelled: A mobile scaffold catalyzing development. Curr Top Dev Biol. 72,153-166. 46. Cong, F., Schweizer, L., Varmus, H. (2004) Casein kinase Iepsilon modulates the signaling specificities of dishevelled. Mol Cell Biol. 24, 2000-2011. 47. Wolf, J., Palmby, T.R., Gavard, J., Williams, B.O., Gutkind, J.S. (2008) Multiple PPPS/TP motifs act in a combinatorial fashion to transduce Wnt signaling through LRP6 . FEBS Lett. 582 , 255 - 261 . 48. MacDonald, B.T., Yokota, C.,Tamai, K., Zeng, X., He, X. (2008) Wnt signal amplification via activity, cooperativity, and regulation of multiple intracellular PPPSP motifs in the Wnt co-receptor LRP6. J Biol Chem. 283,16115-16123. 49. Dorsam, R.T., Gutkind, J.S. (2007) G-protein-coupled receptors and cancer. Nat Rev Cancer. 7 , 79 - 94 . 50. Gutkind, J.S. (2000) Regulation of mitogen-activated protein kinase signaling networks by G protein-coupled receptors. Sci STKE. 2000 , RE1 . 51. Schlange, T., Matsuda, Y., Lienhard, S., Huber, A., Hynes, N.E. (2007) Autocrine WNT signaling contributes to breast cancer cell proliferation via the canonical WNT pathway and EGFR transactivation. Breast Cancer Res. 9 , R63 . 52. Topol, L., Jiang, X., Choi, H., Garrett-Beal, L., Carolan, P.J., Yang, Y. (2003) Wnt-5a inhibits the canonical Wnt pathway by promoting GSK-3-independent beta-catenin degradation. J Cell Biol. 162, 899-908. 53. Umbhauer, M., Djiane,A., Goisset, C.,Penzo-Mendez, A., Riou, J.F., Boucaut, J.C., Shi, D.L. (2000) The C-terminal cytoplasmic Lys-thr-X-X-X-Trp motif in frizzled receptors mediates Wnt/beta-catenin signalling. EMBO J. 19, 4944-4954. 54. Wharton, K.A. (2003) Runnin' with the Dvl: Proteins that associate with Dsh/Dvl and their significance to Wnt signal transduction. Dev Biol. 253,1-17. 55. Wallingford, J.B., Habas, R. (2005) The developmental biology of Dishevelled: An enigmatic protein governing cell fate and cell polarity. Development. 132 , 4421 - 4436 . 56. Axelrod , J.D. , Miller, J.R. , Shulman , J.M. , Moon , R.T. , Perrimon , N. ( 1998 ) Differential recruitment of Dishevelled provides signaling specificity in the planar cell polarity and Wingless signaling pathways. Genes Dev. 12, 2610-2622. 57. Yang - Snyder, J. , Miller, J.R. , Brown , J.D. , Lai , C.J. , Moon , R.T. ( 1996 ) A frizzled homolog functions in a vertebrate Wnt signaling pathway. Curr Biol. 6,1302-1306. 58. Rothbächer, U., Laurent, M.N., Deardorff, M.A., Klein, P.S., Cho, K.W., Fraser, S.E. (2000) Dishevelled phosphorylation, subcellular localization and multimerization regulate its role in early embryogenesis. EMBO J. 19,1010-1022. 59. Yamanaka, H., Nishida, E. (2007) Wnt11 stimulation induces polarized accumulation of Dishevelled at apical adherens junctions through Frizzled7 . Genes Cells. 12, 961-967. 60. Yanagawa, S., van Leeuwen, F., Wodarz, A., Klingensmith, J., Nusse, R. (1995) The dishevelled protein is modified by wingless signaling in Drosophila. Genes Dev. 9, 1087-1097. 61. Smalley, M.J., Signoret, N., Robertson, D.,Tilley, A., Hann, A., Ewan, K., Ding, Y., Paterson,H.,Dale,T.C. (2005) Dishevelled (Dvl-2) activates canonical Wnt signalling in the absence of cytoplasmic puncta. J Cell Sci. 118, 5279-5289. 62. Schwarz-Romond,T., Merrifield, C., Nichols, B. J., Bienz, M. (2005) The Wnt signalling effector Dishevelled forms dynamic protein assemblies rather than stable associations with cytoplasmic vesicles. J Cell Sci. 118, 5269-5277. 63. Itoh, K., Brott, B.K., Bae, G.U., Ratcliffe, M.J., Sokol, S.Y. (2005) Nuclear localization is required for Dishevelled function in Wnt/beta-catenin signaling. J Biol. 4,3. 64. Dewire, S.M., Ahn, S., Lefkowitz, R.J., Shenoy, S.K. (2007) Beta-arrestins and cell signaling. Annu Rev Physiol. 69 , 483 - 510 . 65. Chen, W., Hu, L.A., Semenov, M.V., Yanagawa, S., Kikuchi, A., Lefkowitz, R.J., Miller, W.E. (2001) ß-Arrestin1 modulates lymphoid enhancer factor transcriptional activity through interaction with phosphorylated dishevelled proteins. Proc Natl Acad Sci U S A. 98,14889-14894. 66. Chen , W. , ten Berge, D. , Brown , J. , Ahn , S. , Hu , L.A. , Miller, W.E. , Caron , M.G. , Barak, L.S., Nusse, R., Lefkowitz, R.J. (2003) Dishevelled 2 recruits ß-arrestin 2 to mediate Wnt5A-stimulated endocytosis of Frizzled 4. Science. 301 , 1391 - 1394 . 67. Kim, G.H., Han, J.K. (2007) Essential role for beta-arrestin 2 in the regulation of Xenopus convergent extension movements. EMBO J. 26, 2513-2526. 68. Bryja, V., Schambony, A., Cajanek, L., Dominguez, I., Arenas, E., Schulte, G. (2008) ß-arrestin and casein kinase 1/2 define distinct branches of non-canonical WBNT signaling pathways. EMBO Rep. 9,1244-1250. 69. Force, T., Woulfe, K., Koch, W.J., Kerkelä, R. (2007) Molecular scaffolds regulate bidirectional crosstalk between Wnt and classical seven-transmembrane-domain receptor signaling pathways. Sci STKE. 2007 , pe41 . 70. Katanaev, V.L., Ponzielli, R., Sémériva, M., Tomlinson, A. (2005) Trimeric G protein-dependent frizzled signaling in Drosophila. Cell. 120,111-122. 71. Wang, H.Y., Liu, T., Malbon, C.C. (2006) Structure-function analysis of Frizzleds. Cell Signal. 18, 934-941. 72. Slusarski, D.C., Corces, V.G., Moon, R.T. (1997) Interaction of Wnt and a Frizzled homologue triggers G - protein - linked phosphatidylinositol signalling. Nature. 390 , 410 - 413 . 73. Wang, H.Y., Malbon, C.C. (2003) Wnt signaling, Ca2+, and cyclic GMP: Visualizing Frizzled functions. Science. 300,1529-1530. 74. Wang, H.Y. (2004) WNT-frizzled signaling via cyclic GMP. Front Biosci. 9,10431047 . 75. Ma, L., Wang, H.Y. (2006) Suppression of cyclic GMP-dependent protein kinase is essential to the Wnt/cGMP/Ca2+ pathway. J Biol Chem. 281, 30990-31001. 76. Ahumada, A., Slusarski,D.C., Liu, X., Moon, R.T., Malbon, C.C.,Wang, H.Y. (2002) Signaling of rat Frizzled-2 through phosphodiesterase and cyclic GMP. Science. 298, 2006-2010. 77. Endo,Y.,Wolf, V., Muraiso, K., Kamijo, K., Soon, L., Uren, A., Barshishat-Küpper, M., Rubin, J.S. (2005) Wnt-3a-dependent cell motility involves RhoA activation and is specifically regulated by dishevelled-2. J Biol Chem. 280,777-786. 78. Liu,T., DeCostanzo,A.J., Liu, X.,Wang, H., Hallagan, S., Moon, R.T., Malbon, C.C. (2001) G protein signaling from activated rat frizzled-1 to the beta-catenin-Lef-Tcf pathway. Science. 292,1718-1722. 79. DeCostanzo, A.J., Huang, X.P., Wang, H.Y., Malbon, C.C. (2002) The Frizzled-1/ (ß(2)) - adrenergic receptor chimera: Pharmacological properties of a unique G protein-linked receptor. Naunyn Schmiedebergs Arch Pharmacol. 365, 341-348. 80. Liu, X., Liu, T., Slusarski, D.C., Yang-Snyder, J., Malbon, C.C., Moon, R.T., Wang, H. (1999) Activation of a frizzled-2/beta-adrenergic receptor chimera promotes Wnt signaling and differentiation of mouse F9 teratocarcinoma cells via Gao and Gat. Proc Natl Acad Sci USA. 96,14383-14388. 81. Li, H., Malbon, C.C., Wang, H.Y. (2004) Gene profiling of Frizzled-1 and Frizzled-2 signaling: Expression of G-protein-coupled receptor chimeras in mouse F9 tera-tocarcinoma embryonal cells. Mol Pharmacol. 65 , 45 - 55 . 82. Yamamoto, H., Komekado, H., Kikuchi, A. (2006) Caveolin is necessary for Wnt-3a-dependent internalization of LRP6 and accumulation of beta-catenin. Dev Cell. 11 , 213 - 223 . 83. Kikuchi, A., Yamamoto, H. (2007) Regulation of Wnt signaling by receptor-mediated endocytosis. J Biochem. 141,443-451. 84. Marois, E., Mahmoud, A., Eaton, S. (2006) The endocytic pathway and formation of the Wingless morphogen gradient. Development. 133, 307-317. 85. Gagliardi, M., Piddini, E., Vincent, J.P. (2008) Endocytosis: A positive or a negative influence on Wnt signalling? Traffic. 9,1-9. 86. Yu, A., Rual, J.F., Tamai, K., Harada, Y., Vidal, M., He, X., Kirchhausen, T. (2007) Association of Dishevelled with the clathrin AP-2 adaptor is required for Frizzled endocytosis and planar cell polarity signaling. Dev Cell. 12 , 129 - 141 . 87. Laporte, S.A., Oakley, R.H., Holt, J.A., Barak, L.S., Caron, M.G. (2000) The interaction of beta-arrestin with the AP-2 adaptor is required for the clustering of beta 2-adrenergic receptor into clathrin-coated pits. J Biol Chem. 275, 23120-23126. 88. Bryja, V., Cajanek, L., Grahn, A., Schulte, G. (2007) Inhibition of endocytosis blocks Wnt signalling to beta-catenin by promoting dishevelled degradation. Acta Physiol (Oxf). 190, 55-61. 89. Wodarz, A., Nusse, R. (1998) Mechanisms of Wnt signaling in development. Annu Rev Cell Dev Biol. 14 , 59 - 88 . 90. Nusse, R. (2005) Wnt signaling in disease and in development. Cell Res. 15,28-32. 91. Logan, C.Y., Nusse, R. (2004) The Wnt signaling pathway in development and disease. Annu Rev Cell Dev Biol. 20 , 781 - 810 . 92. Polakis, P. ( 2000 ) Wnt signaling and cancer. Genes Dev. 14 , 1837 - 1851 . 93. Malaterre, J., Ramsay, R.G., Mantamadiotis,T. (2007) Wnt-Frizzled signalling and the many paths to neural development and adult brain homeostasis. Front Biosci. 12 , 492 - 506 . 94. Salinas, P.C. (2005) Retrograde signalling at the synapse: A role for Wnt proteins. Biochem Soc Trans. 33 , 1295 - 1298 . 95. Cerpa, W., Godoy, J.A., Alfaro, I., Farias, G.G., Metcalfe, M.J., Fuentealba, R., Bonansco, C., Inestrosa, N.C. (2008) Wnt-7a modulates the synaptic vesicle cycle and synaptic transmission in hippocampal neurons. J Biol Chem. 283,5918-5927. 96. Kishida, S., Hamao, K., Inoue, M., Hasegawa, M., Matsuura, Y., Mikoshiba, K., Fukuda, M., Kikuchi, A. (2007) Dvl regulates endo- and exocytotic processes through binding to synaptotagmin . Genes Cells. 12,49-61. 97. Ahmad-Annuar, A., Ciani, L., Simeonidis, I., Herreros, J., Fredj, N.B., Rosso, s.B., Hall, A., Brickley, S., Salinas, P.C. (2006) Signaling across the synapse: A role for Wnt and Dishevelled in presynaptic assembly and neurotransmitter release. J Cell Biol. 174,127-139. 98. Chen, J., Park, C.S., Tang, S.J. 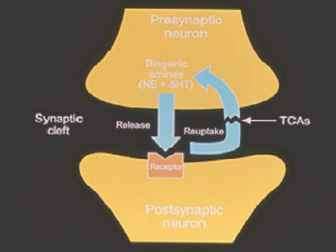 (2006) Activity-dependent synaptic Wnt release regulates hippocampal long-term potentiation. J Biol Chem. 281,11910-11916. 99. Kaykas, A., Yang-Snyder, J., Heroux, M., Shah, K.V., Bouvier, M., Moon, R.T. (2004) Mutant Frizzled 4 associated with vitreoretinopathy traps wild-type Frizzled in the endoplasmic reticulum by oligomerization. Nat Cell Biol. 6 , 52 - 58 . 100. Cerpa, W., Dinamarca, M.C., Inestrosa, N.C. (2008) Structure-function implications in Alzheimer's disease: Effect of Abeta oligomers at central synapses. Curr Alzheimer Res. 5 , 233 - 243 . 101. Luo, J., Chen, J., Deng, Z.L., Luo, X., Song, W.X., Sharff, K.A., Tang, N., Haydon, R.C., Luu, H.H., He, T.C. (2007) Wnt signaling and human diseases: What are the therapeutic implications? Lab Invest. 87, 97-103. 102. Blankesteijn, W.M., van de Schans, V.A., ter Horst, P., Smits, J.F. (2008) The Wnt/ frizzled/GSK-3 beta pathway: A novel therapeutic target for cardiac hypertrophy. Trends Pharmacol Sci. 29,175-180. 103. Chan, A., van Bezooijen, R.L., Löwik, C.W. (2007) A new paradigm in the treatment of osteoporosis: Wnt pathway proteins and their antagonists. Curr Opin Investig Drugs. 8, 293-298. 104. Säfholm, A., Leandersson, K., Dejmek, J., Nielsen, C.K., Villoutreix, B.O., Andersson , T. ( 2006 ) A formylated hexapeptide ligand mimics the ability of Wnt-5a to impair migration of human breast epithelial cells. J Biol Chem. 281, 2740 - 2749 . 105. Kajiwara, K., Kamamoto, M., Ogata, S.I.,Tanihara, M. (2008) A synthetic peptide corresponding to residues 301-320 of human Wnt-1 promotes PC12 cell adhesion and hippocampal neural stem cell differentiation. Peptides. 29 , 1479 - 1485 . 106. Malherbe, P., Kratochwil, N., Zenner, M.T., Piussi, J., Diener, C., Kratzeisen, C., Fischer, C., Porter, R.H. (2003) Mutational analysis and molecular modeling of the binding pocket of the metabotropic glutamate 5 receptor negative modulator 2-methyl-6-(phenylethynyl)-pyridine. Mol Pharmacol. 64, 823-832. 107. Chien , A.J. , Moon , R.T. ( 2007 ) WNTS and WNT receptors as therapeutic tools and targets in human disease processes. Front Biosci. 12,448-457. 108. Sen , M. , Chamorro, M. , Reifert , J. , Corr, M. , Carson , D.A. ( 2001 ) Blockade of Wnt-5A/frizzled 5 signaling inhibits rheumatoid synoviocyte activation. Arthritis Rheum. 44 , 772 - 781 . 109. Wang, N.X., Lee, H.J., Zheng, J.J. (2008) Therapeutic use of PDZ protein-protein interaction antagonism. Drug News Perspect. 21,137-141. 110. Shan , J. , Shi , D.L. , Wang, J. , Zheng, J. ( 2005 ) Identification of a specific inhibitor of the dishevelled PDZ domain. Biochemistry. 44 , 15495 - 15503 . 111. Fujii, N., You, L., Xu, Z., Uematsu, K., Shan, J., He, B., Mikami, I., Edmondson, L.R., Neale, G., Zheng, J., Guy, R.K., Jablons, D.M. (2007) An antagonist of dishevelled protein-protein interaction suppresses beta-catenin-dependent tumor cell growth . Cancer Res. 67 , 573 - 579 . 112. You, L., Xu, Z., Punchihewa, C., Jablons, D.M., Fujii, N. (2008) Evaluation of a chemical library of small-molecule Dishevelled antagonists that suppress tumor growth by down- regulating T- cell factor- mediated transcription . Mol Cancer Ther. 7 , 1633 - 1638 . 113. Castelo-Branco, G., Wagner, J., Rodriguez, F.J., Kele, J., Sousa, K., Rawal, N., Pasolli, H.A., Fuchs, E., Kitajewski, J., Arenas, E. (2003) Differential regulation of midbrain dopaminergic neuron development by Wnt-1, Wnt-3a, and Wnt-5a. Proc Natl Acad Sci U S A. 100,12747-12752. 114. Parish, C.L., Castelo-Branco, G., Rawal, N.,Tonnesen, J., Sorensen, A.T., Salto, C., Kokaia, M., Lindvall, O., Arenas, E. (2008) Wnt5a-treated midbrain neural stem cells improve dopamine cell replacement therapy in parkinsonian mice. J Clin Invest. 118,149-160. 115. Parish, C.L, Arenas, E. (2007) Stem-cell-based strategies for the treatment of Parkinson's disease. Neurodegener Dis. 4, 339-347. 116. Gao, Y., Wang, H.Y. (2007) Inositol pentakisphosphate mediates Wnt/beta-catenin signaling. J Biol Chem. 282, 26490-264502. 117. Tu, X., Joeng, K.S., Nakayama, K.I., Nakayama, K., Rajagopal, J., Carroll, T.J., McMahon, A.P., Long, F. (2007) Noncanonical Wnt signaling through G protein-linked PKCdelta activation promotes bone formation. Dev Cell. 12,113-127. 118. Habas, R., Dawid, I.B., He, X. (2003) Coactivation of Rac and Rho by Wnt/Frizzled signaling is required for vertebrate gastrulation . Genes Dev. 17, 295-309. 119. Tsai , I.C. , Amack , J.D. , Gao, Z.H. , Band , V. , Yost , H.J. , Virshup, D.M. ( 2007 ) A Wnt-CKIvarepsilon-Rap1 pathway regulates gastrulation by modulating SIPA1L1, a Rap GTPase activating protein. Dev Cell. 12, 335-347. 120. Chen, A.E., Ginty, D.D., Fan, C.M. (2005) Protein kinase A signalling via CREB controls myogenesis induced by Wnt proteins. Nature. 433 , 317 - 322 . 121. Inoki, K., Ouyang, H., Zhu,T., Lindvall, C.,Wang,Y., Zhang, X.,Yang, Q., Bennett, C. , Harada , Y. , Stankunas, K. , Wang, C.Y. , He, X. , MacDougald , O.A. , You , M. , Williams, B.O., Guan, K.L. (2006) TSC2 integrates Wnt and energy signals via a coordinated phosphorylation by AMPK and GSK3 to regulate cell growth. Cell. 126 , 955 - 968 . 122. Wouda, R.R., Bansraj, M.R., de Jong, A.W., Noordermeer, J.N., Fradkin, L.G. (2008) Src family kinases are required for WNT5 signaling through the Derailed/ RYK receptor in the Drosophila embryonic central nervous system. Development. 135 , 2277 - 2287 . 123. Lu , W. , Yamamoto, V. , Ortega , B. , Baltimore, D. ( 2004 ) Mammalian Ryk is a Wnt coreceptor required for stimulation of neurite outgrowth . Cell. 119, 97-108.